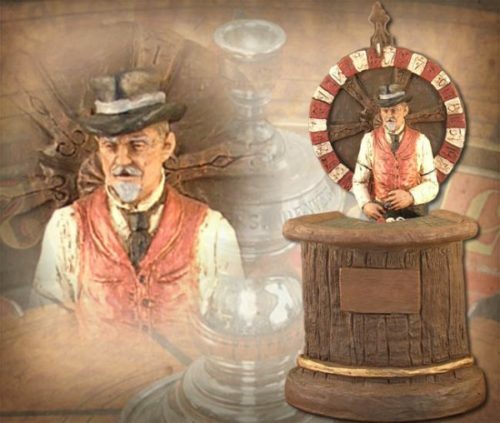 Try your luck with this handmade sculpture by Michael Garman. 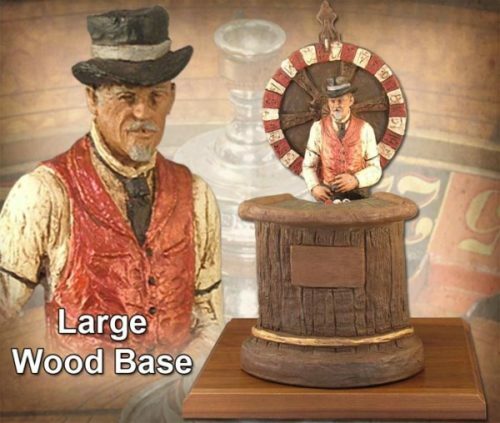 Paying homage to the saloons and casinos of yesteryear, this diorama includes handpainted “Blackjack” in a roulette wheel base. 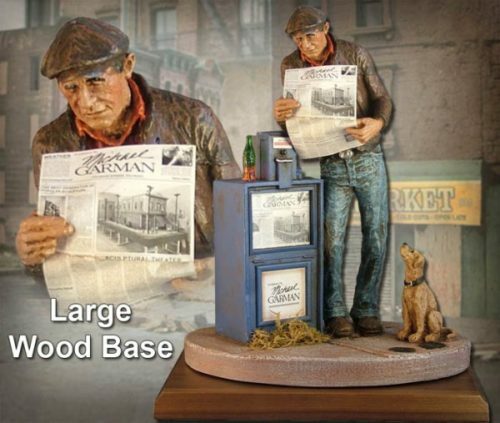 Sculpture measures 13″ x 7″ x 7.5″. ©1991. Handpainted finish. #MG325.